Calling all Italian Americans and anyone else who loves Italy! The maker of the iconic Italian moka pot Bialetti maybe facing bankruptcy – article in Italian on Wall Street Italia. If you buy a Bialetti moka pot, you might help save the company! Here’s a selection of Bialetti moka pots that can be found on Amazon.com. Even if you see one in a bricks and mortar store, get one! Christmas is just around the corner and moka pots make fun and original gifts. They are also lovely ornaments. And by buying one, or two, you’ll be helping save an iconic Italian product. The classic moka pot for one cup of espresso. This version comes with a spoon! Ideal for couples, the two cup Moka pot! Great if you want an extra espresso in the mornings, or whenever you want. Also handy if you have an unexpected guest. Make four espressos with this moka maker. Great for espresso loving families. Very common in Italy. We’ve got one. Actually, we’ve got a 2 cup version and a four cup version. The Amazing 18 Cup Moka Pot! This massive moka maker makes no less than 18 cups of lovely espresso! For big families, this is the only way to go. The company makes lots of other moka pots, as you will see if you click on this link. Remember, each Bialetti moka maker you buy could help keep the company from going bust. Why not start a Moka collection and buy one of each pot? A great addition to any kitchen or collection of Bialetti moka makers is this Alpina Moka 3 cup pot. It’s pretty cool too with its classic Alpina cap! If the worst does come to the worst and Bialetti does cease to exist, you’ll need spares to keep your moka maker going. Looked after, these coffee makers can keep going for years. 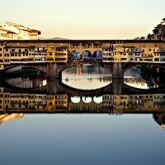 Note that although ItalyChronicles.com is an Amazon affiliate none of the links on this page are affiliate links. By purchasing a moka pot you’ll be helping Bialetti keep going. 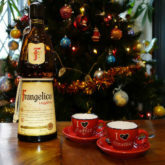 Next article: Frangelico – Have You Tried it? If not, do.